Sometimes, months of layoff rumors precede a job loss. You hear whispers of cutbacks and people not getting their raises. Other offices start to close, and you’re pressured to work harder and cut costs. At other times, a job loss happens with absolutely no warning. Your business closes, you get fired, or you become disabled and unable to work. If you get fired or laid off from you company, you might draw unemployment for a little while. Unfortunately, the bills won’t stop coming even when your money disappears. That can spell very bad news for you. The last thing you want to do when the unexpected happens is to find yourself without a plan. 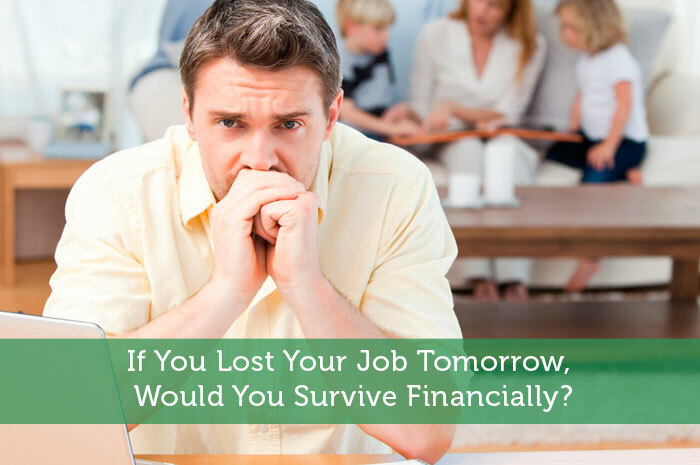 If you lost you job tomorrow, would you survive financially? Disaster-proof your finances now before it’s too late. 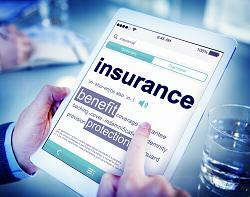 About 70 percent of people own life insurance policies, but only 40 percent invest in disability insurance. In reality, it’s probably more important to protect your current income before investing in life insurance. A 20-year-old today has a 30-percent chance of becoming disabled and missing at least six months of work before retirement. You might think you can fall back on government benefits for disability, but they vary widely depending on where you life. In the U.S., for example, people draw an average of just $1,188 for Social Security disability. Disability insurance costs more than life insurance. The average private disability policy costs $18.60 per $1,000 of coverage versus 22 cents per $1,000 of coverage for life insurance. However, if you purchase disability insurance through your employer, you often get a cheaper policy. The average employer disability policy costs just $16.30 per $1,000. Don’t worry about disability insurance if you make less than $30,000 per year or if you’re over 65. In these cases, you can get as much from public benefits as you will from your policy. Pay your premium with after-tax money. When you pay disability insurance premiums with after-tax dollars, all disability benefits that you could receive become non-taxable. Even though your premiums would cost less if you paid for them with pre-tax income, you’d save a lot of money — if you actually became disabled — by making sure that you don’t owe taxes on the payouts you receive. Expect only partial income replacement. Most disability payouts cover only 50 to 70 percent of your salary. Again, you can bridge the coverage gap by making sure that your payouts aren’t taxable. Pay your premiums with after-tax dollars. Search for ways to lower costs. You can pay lower premiums by accepting a lower percentage of your salary, such as 50 percent instead of 70 percent. Also, you can pay less by accepting a longer waiting period for payments to begin, such as accepting a 90-day waiting period instead of a 30-day waiting period. 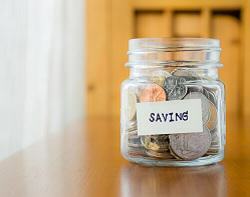 Traditionally, financial advisors have recommended having three to six months of income in your savings account. Unfortunately, the recession of 2007 changed a lot of the old rules. Today, 36.7 percent of people who don’t have jobs have been unemployed for more than six months. With such a tough job climate, boosting your savings rate becomes almost non-negotiable. Saving eight to 12 months worth of income might seem drastic. You might say, “I have enough credit on my credit cards for three months worth of income.” However, if you depend on credit cards for savings, remember that you’ll have to pay it back at a high interest rate when you find a new job. You’re better off building your nest egg and avoiding high-interest credit card debt. Creating multiple streams of income gives you more buying and investing power in the present. These income ideas also provide fallback money if you lose your job. If you can afford it, invest in some rental property, or put some extra money into non-retirement securities. You can also develop extra assets that earn passive income, such as a blog with affiliate links or a book that earns royalties. Passive income, combined with adequate savings and good disability insurance, can ensure your financial survival in case you find yourself unemployed. Instead of having nothing but unemployment payments, you’ll have financial peace of mind. It’s time to disaster-proof your finances as early as now. Looking at the statistics like this definitely makes you think about what you should really be focusing on, like disability insurance rather than life insurance. We got a taste of this in the spring when I was on maternity leave. Short Term Disability covers 6 weeks of the 12 weeks allowed by law, BUT it’s only covered at 50% of your pay, unless you buy up on your coverage, which we did. So I got 67% of my pay for 6 weeks. Half of the rest was filled in by vacation time. The rest was flat out unpaid. Yeah… we made it for 12 weeks, but that’s all we could do without delving into emergency savings. It’s a scary thing, especially since my husband and I work in the same industry and for the same employer. Should they experience a lean time, we might both be unemployed!! Great points. I’ve seen 3 people close to me get laid off in the past and all three lasted longer than 6 months unemployed. It’s hard to find a job once you don’t have a job. It seems like people only want to hire you if you are already working for someone else. I would be able to survive for quite a while. Sometimes we take the first thing that comes our way out of desperation and I’d like to be able to hopefully pick something that works best than just anything I can get. I hope to not be in the situation, but if I am that would be my goal. I’ve had four neighbors lose jobs recently and none of them have been out of work longer than 2 months. The market is very strong right now where I am…but it just takes a change in boss and a different direction and all of a sudden everything changes. Have to be prepared for life to happen. Hardly anyone stays in one job their whole life anymore. We would probably be alright. We’re a single income family, but we could dip into savings and survive for a year or more. We also have such low expenses that we could take a low paying job and do ok. If one of us were disabled, the story might change and I’m going to look into what our coverage is now. We could survive for a while. But that wasn’t always the case. We’ve worked hard to build an emergency fund. We’ve also worked to reduce our expenses so we can save more. This also lets us live on our emergency fund for a longer period of time. On top of that I’m trying to make $3k/month in side income. Right now I’m only half way, but thats still a huge amount of money each month, which will extend that emergency fund even further! Yes, we can survive, but we need to have a tight budget when that time come,”hopefully not”. But, I think, we will only survive for a few months. Great advice. I’ve always recommended three months income in an emergency account but I see your point about extended unemployment during the financial crisis. Caught a lot of people off-guard. Definitely going in my Best Blog Posts of the Week roundup next Thursday. I lived this 5 years ago and it wasn’t pretty. Didn’t have savings, I was also in debt. Now, if my web design business failed, I’d have at least few months of living expenses to rely on. Good advice. A couple things to keep in mind about disability (based on my wife’s experience)…as your income is going down, your medical expenses are likely going up. Social Security disability benefits don’t always kick in right away (her approval took 2 years which is pretty average in our state). While your disability might only last a few weeks or months, it could also last for years or be permanent. I can’t stress enough how important it is to have adequate disability insurance! Without it we would have been in a very bad situation.